Every Halloween, I go through the same thing. I stay up really really late the night before carving Jack o’lanterns (storing them in the empty garage refrigerator overnight)… then I put them out at dusk to greet all the neighborhood kids that come by trick or treating. After the crowds have gone, I reclaim the jack o’lanterns for food – I clean them out, cut them up, peel them, and either go on to make pumpkin puree or store the flesh for other use. Last year, I made a bunch of loaves of cinnamon crumble pumpkin bread (based on my recipe for pumpkin streusel bread) – which was a great fall treat. I’ve also made some savory dishes like Japanese pumpkin cream stew, pumpkin & shrimp curry, and Indian spiced sweet potato and pumpkin soup. 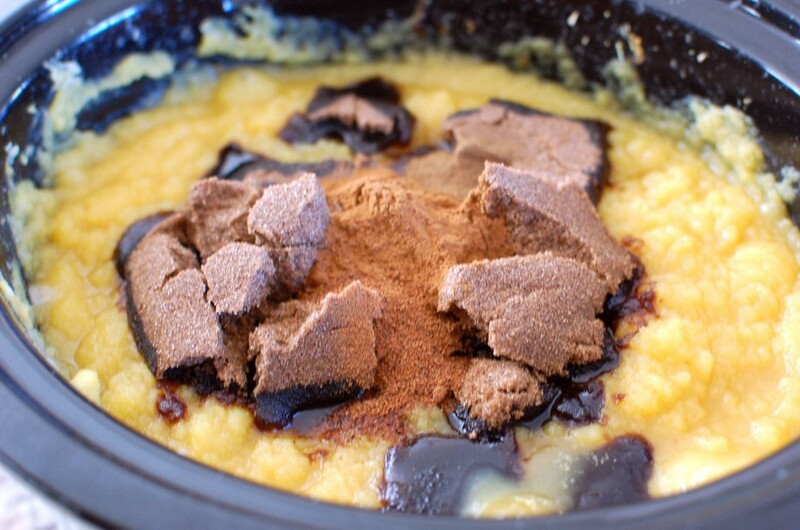 You can also substitute grated raw field pumpkin in most cake/bread/muffin recipes that call for grated zucchini, such as my chocolate zucchini cake recipe. A week ago, I was browsing through the Willams Sonoma store at the mall, and saw this fabulous looking Pumpkin Butter for sale. However, it was $12 for a jar! $12!!! I don’t mind spending money on something that I can use over and over again (like a cake pan, or an appliance) – but for pumpkin mixed with sugar? Outrageous!!!!! 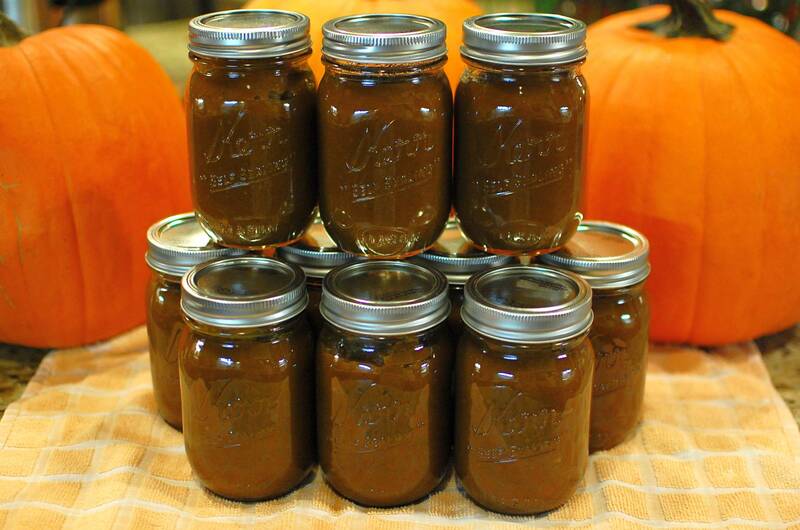 I can make homemade pumpkin butter myself for much less! Using my leftover Halloween pumpkins makes the main ingredient essentially free (and in any case, I only spent about $5 each per pumpkin anyway). Brown sugar usually goes on sale for $0.89 this time of year… and the spices I already had in the pantry. I was able to make about 10 pints for about $16 total… which works out to about $1.60 per jar. That’s more like it! What do you do with pumpkin butter? Spread it on toast, pancakes, crepes… mix it into your oatmeal… you can even stir a spoonful of it into your coffee to make a “pumpkin spiced latte”. What else can you make? I google searched and found a few recipes that I really want to try soon: No-bake pumpkin cream pie and Williams Sonoma’s pumpkin butter pie. Just remember that the sweetness of this homemade pumpkin butter may be less than commercial pumpkin butter… so if you do make one of those recipes, you may need to add a little bit more sugar. 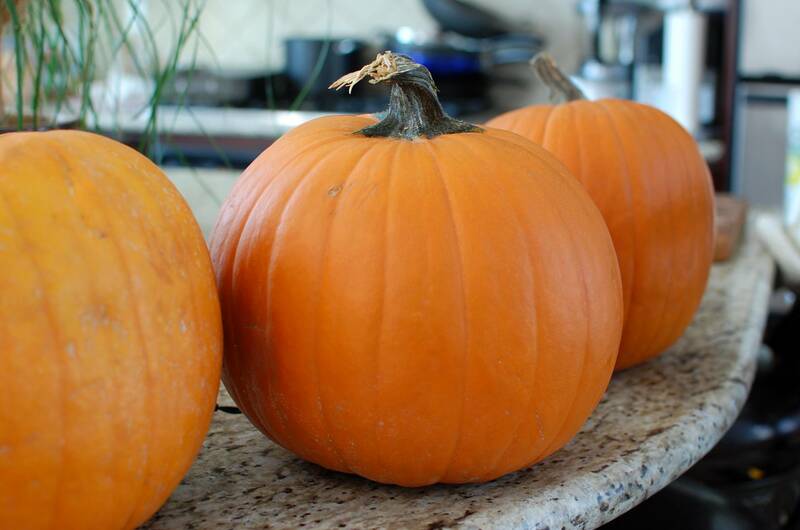 Now, if you are buying pumpkins for cooking only and you are NOT planning on carving them as Halloween jack o’lanterns… then buy the smaller sugar pumpkins instead. They are far superior (in color and flavor) over the larger field pumpkins meant for carving. 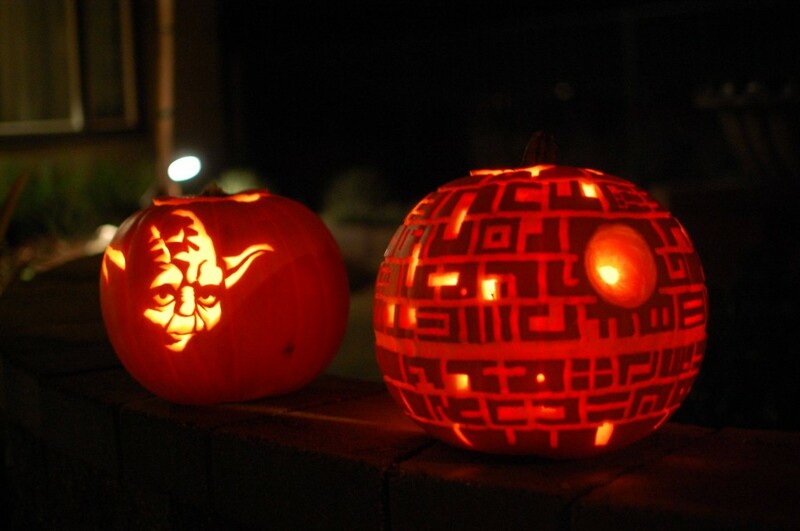 But if you do have field pumpkins – don’t waste them – make something with them! Food is food – don’t throw it out! I have adjusted my recipe to be just sweet enough – sometimes less is more. 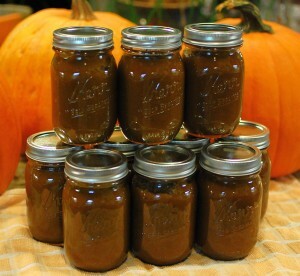 But if you like your pumpkin butter to be a little bit sweeter, you can add more brown sugar – up to 1 lb. extra. Normally, field pumpkins are used for carving or decoration. But you certainly can make delicious goodies with them too, even if it's not the ideal pumpkin to use! 1. Make sure your field pumpkins are fresh. I typically carve my Jack o’lanterns the night before Halloween and store them in our garage refrigerator until the next day. The Jack o’lanterns sit outside (in the chilly October air) for about 3 hours max to greet our neighborhood Trick or Treaters, then are promptly taken inside to clean (wash inside and outside in the sink). I cut the pumpkins up, slice off the skin, and use the food processor to grate. 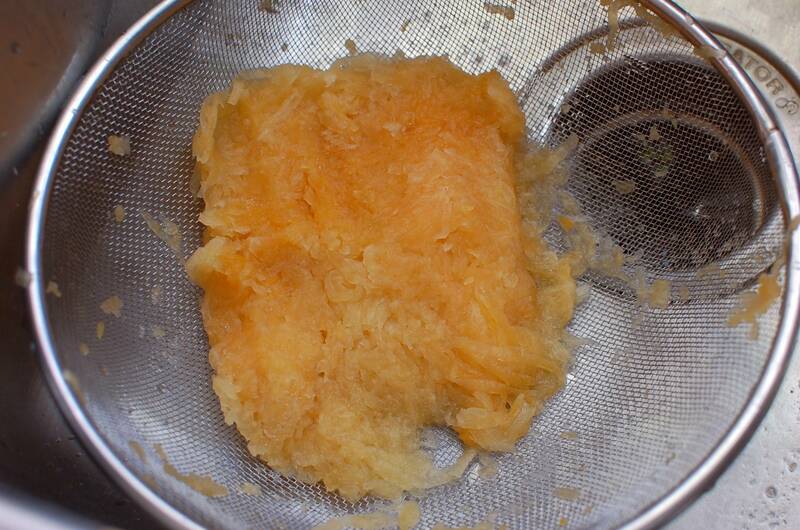 (The grated raw pumpkin can also be frozen for later use.) If you start with three 10 lb. pumpkins, you should end up with a total of 18-20 lbs. of raw pumpkin flesh (minus the seeds, guts, and skin). 4. 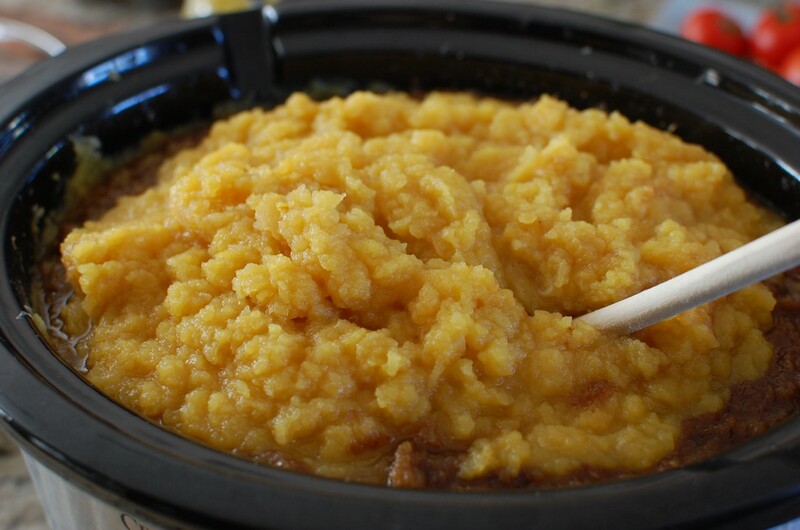 Once the pumpkin mixture is soft and cooked – use a stick (immersion) blender to puree the pumpkin. 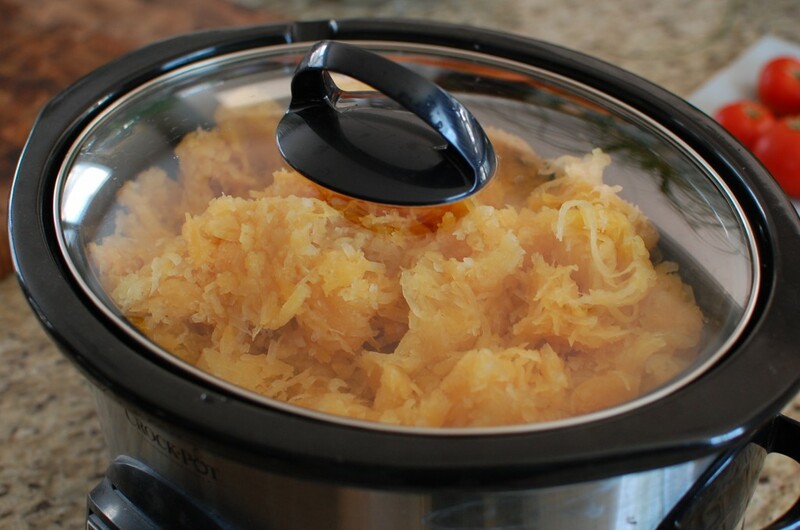 (At this point, your pumpkin puree should only come up halfway in your crockpot – the air pockets should have disappeared, and a bit of the water should have cooked out.) 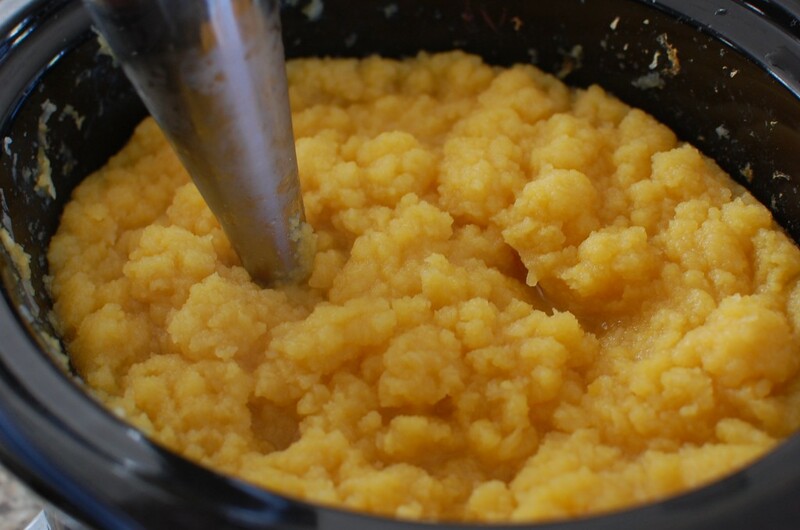 If you do not have an immersion blender, you can puree this in a regular blender in batches – just be careful – don’t fill more than 75% full, and make sure you vent the blender so that you don’t have a hot pumpkin explosion. 6. I was able to fit the rest of the puree (that I made in the stock pot) into my the crockpot at this point (just barely). 7. Cover the mixture, and set the crockpot on high for 4 hours. 8. Remove and store in clean pint jars, or freezer jars. You cannot safely home-can pumpkin butter, so refrigerate once the jars are cool enough, and store in the refrigerator up to 3 weeks. 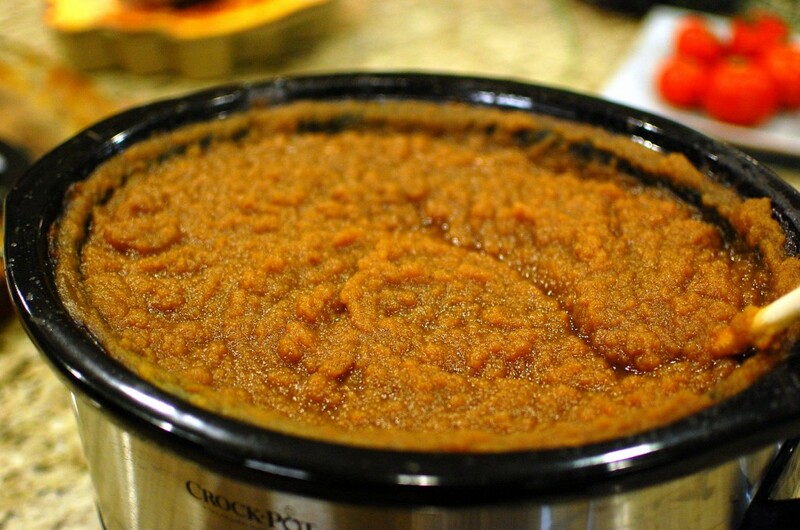 You can also freeze the pumpkin butter for long term storage – use freezer storage jars instead if you plan on freezing. My mouth is watering just looking at all the pictures. Looks dangerously delicious!!! I made your pumpkin butter the other day and OH MY GOD! It was delicious. I did add a can of pumpkin (not necessary I learned), 1 TBS of Mexican vanilla, and a 1/2 stick of butter. It is called butter after all hahahaha. It is awesome. I can’t wait to make the Williams Sonoma pie. 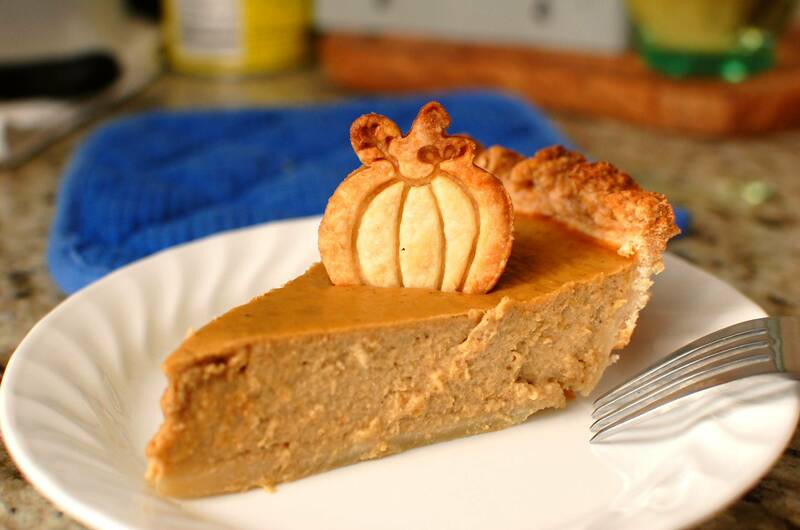 I think I will steal from another recipe for pumpkin pie and make a pecan double crust. (See “French Women Don’t Get Fat” site/book). I gave a way one container (batch made about 7 cups) and my friend was in heaven! Thank you for helping me not waste a perfectly good squash pumpkin! I’m so glad it worked for you!!!! I always feel bad wasting food, so I like to figure out ways to use up Halloween pumpkin after the night is over.